Roughly 8 million tons of plastic waste enter the oceans each year and while we see images of this trash floating around on the ocean’s surface we don’t actually know what happens to most of it once it’s dumped. As Phys explained, of the between 4-12 million tons that enter the oceans each year, just 250 thousand tons are thought to stay at the surface. Overall, more than 99% of plastics dumped at sea over several decades are currently unaccounted for. However, scientists may have finally solved the mystery of where this trash goes. Alethea Mountford, from Newcastle University’s School of Natural and Environmental Sciences, through a global effort, used a computer model of ocean currents for plastics of three different densities to project where most of the world’s fragments collect once they start to sink. The model showed significant build ups at depths varying thousands of meters in the Mediterranean Sea, Indian Ocean and the waters surrounding Southeast Asia. A lot of it ends up on the ocean floor. While Mountford stressed that her research was preliminary, the results could help focus more research on the ocean areas identified and enable better studies of the damage plastics cause to marine life. 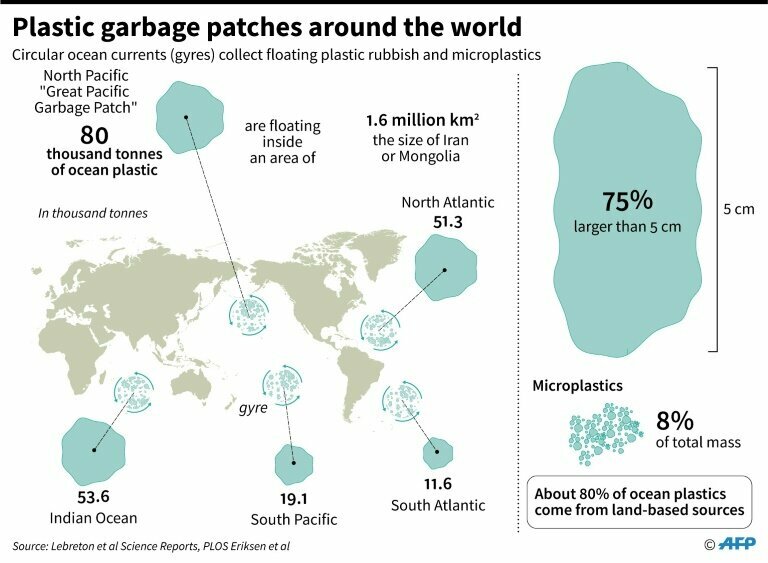 Why This Matters: Our understanding of ocean plastic has mostly focused on what we find on the surface, the like massive plastic garbage patch gyres throughout the world. Eric van Sebille, associate professor of Oceanography and Climate Change at Utrecht University in the Netherlands explained that in order to understand the complete ocean plastic problem we need to use more sophisticated modeling to understand how plastic travels all throughout the ocean, including its depths. His hunch is that the vast majority of plastics dumped in the oceans wash back ashore. This would account for the huge disparity in the volume entering the oceans and the smaller amounts that can be seen today.